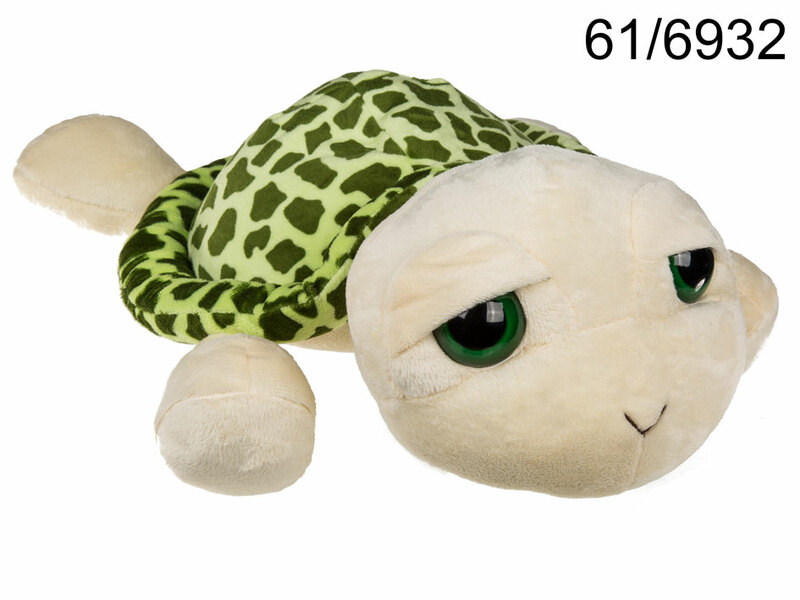 Adorable plush turtle with big eyes and spots on the shell. This cute toy will definitely win over the heart of any child and become his best friend. Length of the toy: 35 cm.